Managing invoices, is an important part of any e-Commerce platform. In IPS4 we give you the tools to manage these within your admin CP. It is important to note the statuses and what these represent on the system. Pending - This is the initial invoice status. By selecting the tick icon, you can mark these items as paid which will move these to the paid status. Paid - These invoices are paid. You can view or print any of these invoices using the icons provided for this purpose. Where an invoice is expired or cancelled, you can reissue these using the refresh icon, or seleting from the dropdown menu. 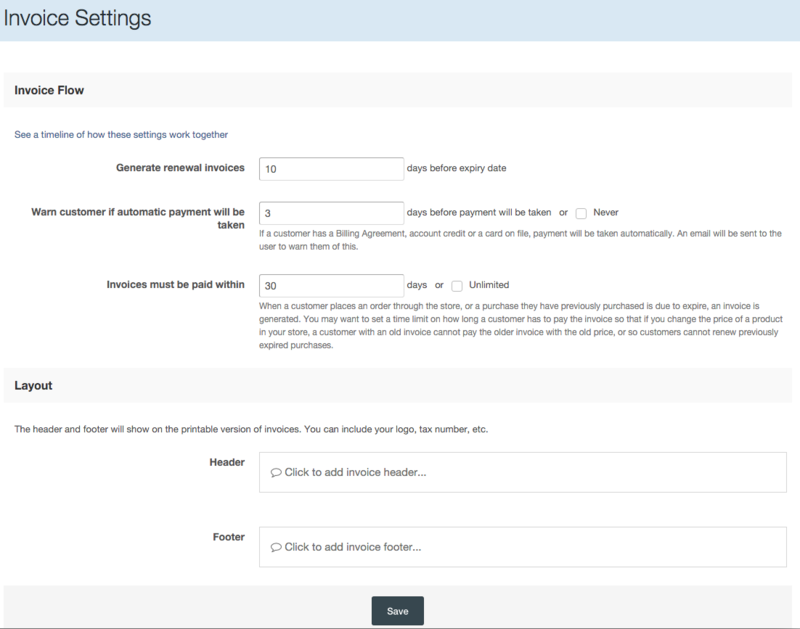 Seleting invoice setting at the top of the page will allow you to set up headers and footers for your invoices, along with set up key period such as renewal expiry dates and payment terms. You can sse an example of this page in the image below. It is important to note that a transaction on the system is not an invoice. A transaction is simply something which would affect the value of an invoice. So for example this may be a credit, or it could be an payment from paypal or 2checkout. So you may have more than 1 transaction for a given invoice and the transaction may be successful, or not. You can access the transactions screen from the following area within your admin cp. Commerce>Payments>Transactions. There is an example of this in the screenshot below. Approved - These are transaction which have come through and are also approved. You would see these as that payment has been recieved. Refunded - These are items which you have refunded on the system. Within this area you can also view the transaction using the magnifying glass icon or delete them. You will also see there is a "left arrow" icon which can be used to refund an individual transaction. Customers on the system will be automatically invoiced upon making a purchase on the system. This however does not mean that there will not be times where you need to manually invoice someone for a product, or even something ad-hoc. 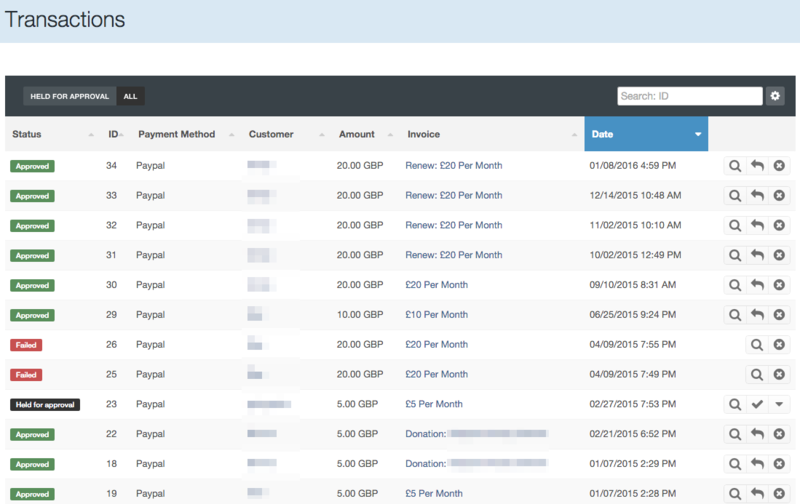 You can create a new invoice for a customer from Commerce>Payments>Invoices by selecting the "Create invoice" button. Once selecting this you will be asked to select a customer. You can do this by starting to type into the box, which will suggest people who you can invoice based on your customer list. Next you will be asked to enter the basic details of the invoice. Note here that you can add the title of the invoice, however you do not need to do so. If you do not add this manually it will be automatically created. You can also add these in whichever state you wish (This can be useful if someone has already paid you for something for example). You will then be shown the invoice detail screen itself. You will need to add items to this using the "Add" button in the top right as shown in the image below. From this menu you can select various different types of item you can add to the invoice. 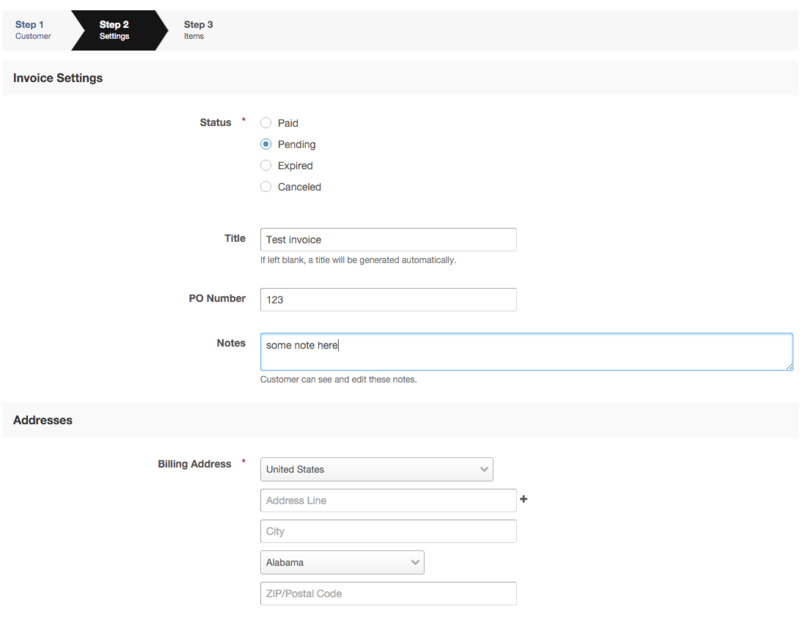 You can add as many lines as you need to a single invoice. I have added descriptions to each of these below. Account Credit Increment - This is a charge for increasing a members credit balance. Miscellaneous Charge - Allows you to set up a charge for anything you like not covered in other areas.